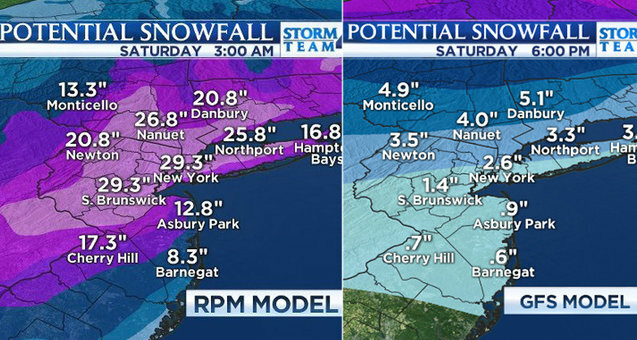 Forecasters are pondering airport and rail closures this weekend as the nor'easter Nemo bears down on New England. (Things sound so much more serious now that winter storms have names.) Anyway, if you've got travel plans, you might want to keep an eye on things. This hasn't been much of a winter so far around here. UPDATE: Gawker is mocking the conflicting forecasts with the headline: "NYC Will Get Either 3 Or 30 Inches Of Snow This Weekend."